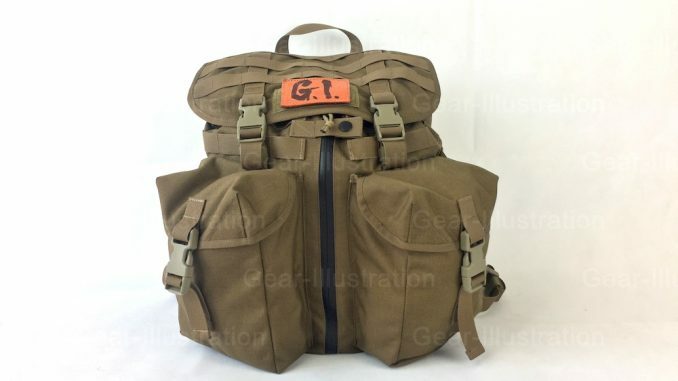 Among all the USGI backpacks and rucksacks, the ARVN Rucksack is always my favourite. This small rucksack has proper volum and neat looking, perfect for both jungle warfare and daily life. For a long time, I was always drawing a blueprint of a modernized ARVN Rucksack, and now it finally comes out. Most charactors of the original remain on the modernized version, such as the two large cargo pockets. Inspired by the Mystery Ranch “3-Zip”, the most signification modification is the “ripper zipper” in the middle of the main body, which provides user a easy way accessing the contents. I named it “Jungle Ranger”, it comes from the user of the original ARVN Rucksack: Vietnamese Rangers and Airborne Division. By now there is only one sample rucksack, I’ll take it to my next Japan trip for field test, and then I’ll improve it and make some more. But I don’t have the money and time for a mass production. If someone interests in it, please contact us.